If you’ve ever looked up couriers online, you might find out some fun facts. For example, did you know that courier services date back to Ancient Egypt? Pharaohs used them to communicate with other important people! It’s pretty interesting to see how these mailing services have been used over the years. In the present day, lots of people still use courier services. If you’re someone who wants to use them, either personally or professionally, you likely know how expensive it can be. But don’t be alarmed! 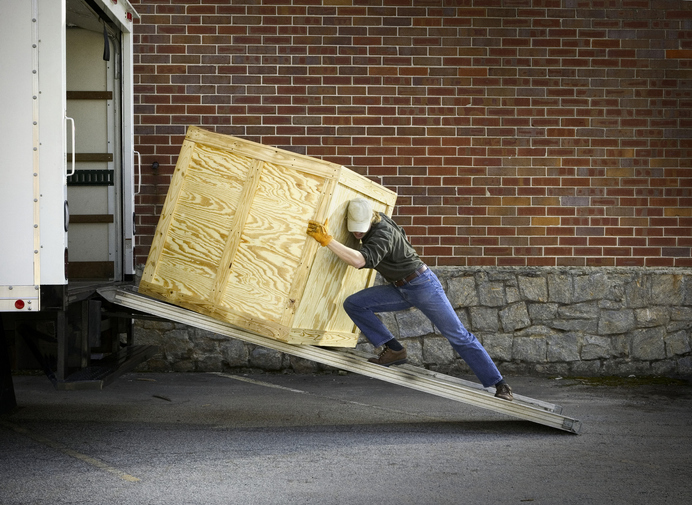 There are ways for you to ship even large items without it costing you a ton of money. Here, we’re going to give you insider tips about how to ship heavy items and save money, all at once. If you’re a person or a small business that’s trying to ship a box, whether it’s overseas or not, you might have the instinct to try to do everything yourself. This isn’t the most effective or easy way to do things, though contacting a good courier service can save you both time and money. Basically, a courier service is someone you hire to work out how to ship your packages in the best possible way and see it off to the destination. These professionals will make sure that both you and the person at the other end of your shipping route are happy and satisfied. With the help of a service that will let you ship your boxes, you won’t need to worry about getting the boxes to the post office by yourself. You also will have to deal with a ton less shipping paperwork. This will give you the time and energy you need to focus on other things to make your business grow. Shipping heavy items can be a difficult thing to look into because what you need to do depends on where you’re shipping them to. But one thing’s for sure: whether you’re shipping abroad or domestically, you’re going to want to do your research. Our service can help with this a little bit, sure, but it’s still good for you to be in the know about what’s going on with packages you’re shipping to your friends and family in other places or to business clients you’ll be working with. This way, if you have to field a barrage of questions, you’ll have actual answers. Plus, researching about shipping large items will make it easier for you and the person you’re sending to track the item, so that’s an obvious plus. You’ll know how to look into this and make sure your package gets there cheaply and quickly. Presumably, you’re reading this article because you want to ship your heavy items as cheaply as you can. One of the best ways to ship anything is by packing your items in a flat rate box. Flat rate boxes come in all sizes and can be shipped by you or your courier service using any major US shipping service. Basically, these boxes aren’t measured and shipped by weight but instead are shipped at one price for the size of the box, regardless of how heavy its contents are. So if you’re shipping something really heavy, flat rate boxes are your best friend. If you want to save money, ask your hired service what you can do to make sure you’re sending at a flat rate instead of shipping by weight. Even if cost and saving money is your top priority, it’s likely that speed is also a factor in how you’re going to ship your heavy boxes. After all, you don’t want to keep the person on the other end of the shipping route waiting, especially if they paid their own hard-earned money for your goods. Same-day courier companies are really amazing for making sure that your package gets to where it’s going, and fast. They’ll make sure your box’s journey to its destination is as fast and smooth as possible, sometimes even taking responsibility for its next-day arrival! Also, hiring services like this one and learning about the quickest shipping options go hand in hand with cost-effective shipping. Using same-day services can help you in reducing overall inventory costs as well as vehicle costs! You probably are rolling our eyes about now, thinking that there’s no way that packing can be such a hard thing that we need to dedicate a section of this article to it. But even though packing up your heavy items might not sound too difficult, it’s definitely something you need to consider. Even though courier services can help with your packing in some circumstances, sometimes you’re going to have to get down and dirty with the fitting of items into boxes yourself. There are a lot of ways that you can maximize your packing space, from folding up certain kinds of items to using the best bags and boxes for what you’re doing. When you do a good job of packing, you aren’t just making things easier on yourself, your client, and your courier. You’re saving money. Better packing means that fewer boxes or smaller boxes are going to be used in transit, which means that shipping costs are sure to be lower. Look into the Best Services! When you’re shipping heavy boxes, you want to find courier services that work for you, learn about different shipping rates, and pack well. Now that you know all about how to ship heavy items effectively, you might want to check out our courier registration page to get the best services for your shipping needs. Save a carrier pigeon; hire a courier! This entry was posted in Courier Service on February 13, 2019 by admin-lisa. Whether it’s waiting in line or waiting for a delivery, no one likes waiting longer than they have to. That’s why quick delivery is a cornerstone of the customer experience. Just how important is delivery? More than half of online consumers between the ages of 18 and 34 expect same-day delivery from retailers. And more than 60% of consumers surveyed would pay more for same-day delivery if offered. Not only is your overall customer experience at stake, but so is your return on investment. Here are several more reasons why a local courier service is beneficial for both. Have you thought about the role delivery plays in your branding identity? If not, you may be going off-message without realizing it. If you’re a sandwich shop that prides itself on quick service and fresh ingredients, a poor delivery experience does not align with your brand’s message. Likewise, a high-end boutique that prides itself on personal service would also have their brand tarnished by a bad delivery experience. The only thing worse is offering no delivery at all! Without a local courier service, these industries run the risk of hurting their brands and losing business from profitable customer segments. Customer service is more than just picking up the phone, taking an order, or dropping off a meal. Great customer service inspires engagement, opening the door for more up-sells, cross-sells, and continued customer loyalty. One survey found that more than half of customer engagement is driven by convenience and 80% driven by product quality. Furthermore, customer loyalty depends on likability and trust by more than 80% of consumers surveyed. Not only is delivery necessary, but it’s also an opportunity to improve upon engagement, and ultimately, the customer experience. A local courier service is also a great way to distribute more direct marketing materials like menus, fridge magnets, business cards, delivery-only specials, and other coupons. Mistakes happen. We’re only human. That’s why every business needs a damage control plan. If a local diner makes a mistake with a takeout order, a local courier service can be an indispensable tool to have on hand. Within minutes, a take-out customer can go from disgruntled to dissatisfied without having to call a manager. This is a great way to avoid those dreaded bad reviews on Yelp and Google. Furthermore, using a local delivery service helps you go the extra mile in pleasing a disgruntled customer. You could quickly rush complimentary desserts, condiments, or even free food to make up for the mistake. Speaking of damage control, we all know how staff shortages can negatively impact the customer experience. This is where your Local courier service comes in. Just because your diner or boutique is short on staff doesn’t mean your deliveries have to skip a beat. Instead, use a local courier service for those times when you are short staffed or an employee calls out sick. Local couriers are particularly helpful for those holiday rushes! In fact, if you like the ROI you see from local couriers, you may want to permanently add it to your business model. Are you still relying on your landline for order fulfillment? It’s time to step into the 21st century, and a local courier service will help you get there. More service-oriented businesses like yours are using web apps to streamline their order fulfillment processes. This means your customers can order from you online if your landline is busy. Furthermore, online ordering may even be mandatory for retaining profitable consumer segments. According to a recent survey, the majority of consumers between the ages of 18 and 34 prefer shopping online to the brick-and-mortar experience. Couple this with a Deloitte study that found that more than $0.55 on the dollar is influenced by digital devices. What’s the big takeaway? Convenience is key. Integrating both apps and local courier services into your delivery process can improve the customer experience exponentially. This would mean shorter wait times, quicker service, and improved communication, all hallmarks for solid customer satisfaction. Taco Bell literally broke the internet when it announced it was adding delivery to select stores. If your business isn’t offering a delivery option now, this could be a great way to generate excitement for your brand. For years, consumers decried the fact that their favorite fast food chains didn’t deliver. Well, all that started to change just a few years ago when such popular brands as McDonald’s, Panera Bread, Subway, Burger King, and Shake Shack started to deliver. By delivering through third-party services, these companies gave the term ‘fast food’ a brand new meaning. Why wait forever in a drive-thru line when you can have your Big Mac delivered right to your door? As more big Brands add delivery to their service options, expect your customers to expect the same from you. Think your business can live without delivery? Think again! 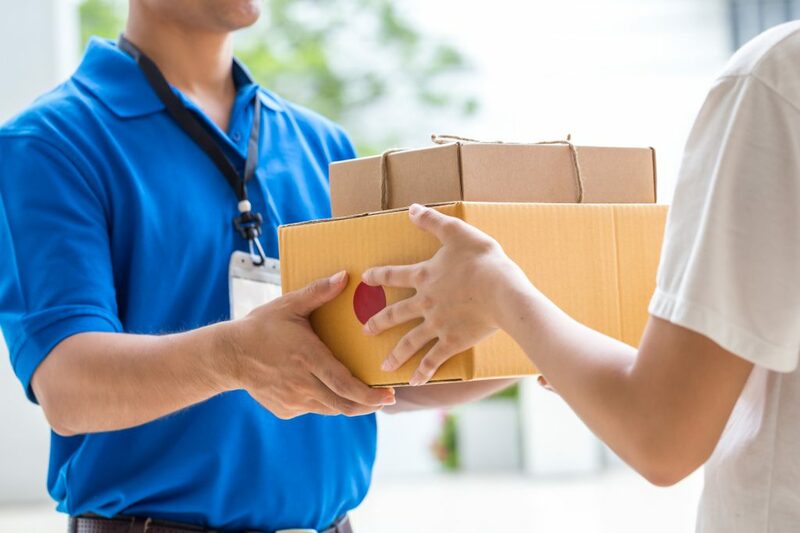 Without a local courier service by your side, you run the risk of hurting your brand’s message and missing an opportunity to excite your base. Plus, you’ll miss even more opportunities to boost customer engagement, reduce damage control, and drastically improve your order fulfillment process. Ready to rethink how delivery can impact your business? Keep this article bookmarked as you revamp your customer experience strategy. Check back often for more customer service tips or speak directly to a local courier professional. This entry was posted in Courier Service on January 8, 2019 by admin-lisa. Are you looking for courier services to handle the shipping needs of your business? According to the Bureau of Labor Statistics, there are 74,120 couriers in the United States. The sheer number of couriers means that there is a lot of competition for your business. But how can you find a courier that provides the services you want at an affordable price? What other things should you be looking for in your courier? Read on to learn 7 questions to ask before you hire a business courier. 1. How Long Have You Been Handling Courier Services? 2. What Sort of Training Program Have Your Drivers Received? 3. What Is Your Responsiveness to Customer Needs? 4. What Technology Do You Use? Some of these technologies you should ask about include whether or not they offer a live tracking system. Another convenient feature to consider is if they allow you to place your orders on the internet. 6. How Does Your Pricing Compare to the Competition? 7. What Makes You Stand out from Your Competitors? To earn your business, a courier should stand out from the competition in a unique way. A courier can help deliver documents or packages in a timely manner at an affordable price. But to find the best courier for your business, you should speak with them about their service and get a feel for how they operate. By learning in advance what is offered by a courier, you will be able to make an informed decision. At National Courier and Logistics, we offer a wide range of unique courier services. These include warehousing, freight forwarding, luggage delivery, and other shipments. This entry was posted in Courier Service, Nationwide Courier and tagged business courier on January 2, 2018 by admin-lisa. Refrigerated services are far from new. The first refrigerated railroad car was patented in 1867. This invention sparked a revolution. Food, dairy, and meats underwent a cultural transformation. People could expect different quality and different products all across the United States as a result. But the benefits of refrigerated services today go far beyond the access to traditional goods. Businesses that select the best-refrigerated transport services can gain access to a larger market base. With the support of specialized services, companies can lower costs, increase sales, and create more value to the bottom line. Preserving assets, lowering liability, and creating more solid customer relationships are all benefits of refrigerated shipping. Professional refrigeration shipping services go beyond keeping products cool. With a trusted service partner companies can realize the major value of logistics support and shipping. Controlling temperature and protecting shipments has two major components. This includes the density and packing of the cargo, as well as the temperature controls. 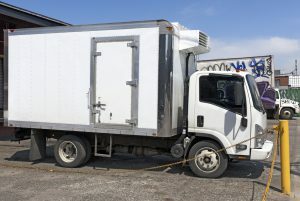 Unless both are factored, along with the delivery of cargo along the way, businesses won’t get the protection from their refrigeration systems they need. Also, too many businesses that use their own shipping fail to maximize their spend. With efficient packing as part of the service, each business can get the full value of every shipment. The business world is increasingly specialized. As part of a standard operating plan, most businesses are working to decide what their core competency is. Unless businesses focus on their core competency, they are working at a disadvantage. Everything from tech services to human resources is typically open for outsourcing to remain competitive. The reason is that these partnerships strengthen service offerings. Further, they allow every essential component to be at the high end of expertise. A trusted refrigerated services provider will have trained professionals to meet every need. This level of training and expertise is impossible for most companies to achieve on their own. Professional services are more complex than many companies understand. Logistics and transport are the backbone of many successful businesses in the digital marketplace. But beyond the benefits of these core requirements comes a complex safety standard. The training, documentation, and products required for safety compliance demand experience and attention. Utilizing the right refrigerated services assures these aspects of business operations are in full compliance. The safety of transport services, as well as the safety of the transported goods, can be assured. Today’s refrigerated transport services offer a high level of temperature control. This control allows for medical supplies, food, and other cargo to be in full adherence to temperature standards. These temperature controls also offer protection in the unlikely event of a breakdown or flat tire. Even with a delay in the shipment due to unforeseen circumstances, businesses can rest assured their assets will be protected. Refrigerated serviced don’t simply mean freezing the product. From flesh flowers to highly controlled medical shipments, the level of control from refrigerated transport is the support many businesses require. In the book Ten Restaurants that Changed America, author Paul Freedman details the cultural changes that have shaped American culture. One of the clearest trends in recent time is the shift from mass-produced food goods to local and fresh foods. People are continually demanding a fresh and customer-centric experience. This expectation requires the support of refrigerated trucking. Keeping it fresh doesn’t just apply to foods, but it can. Consumers don’t just want healthy, fresh foods — they are willing to pay more for them. Refrigerated services are not a one size fits all offering. Different companies have fluctuating needs. The needs of each shipment are precisely adjusted for with refrigerated services. A trusted service provider will take care to match expectations against equipment performance. This level of expertise offers companies peace of mind. As their offerings change they can rely on the same provider to tailor service to their cargo requirements. Businesses need to provide consumers and 3rd parties information in the now. With tracking services integrated into shipping, every moment is accounted for along the way. Companies can provide internal and external stakeholders with information in real-time. The success of Amazon and other online retailers is a result of catering to the customer experience. In the digital age the more that companies can cater to the unique expectations of their clients, the better. There is a $600 billion opportunity in the marketplace. Millenials have a preference for ordering food, including hot and cold items. The right transport partner won’t just give you reliable service. The right transport service will give you access to a whole new opportunity with a changing digital marketplace. It isn’t enough to collect data. The competitive advantage data offers resides in the analytics it provides. Refrigerated transport services professionals will go beyond the basics of data collection. They can match the KPIs of transport to the metrics each company uses to measure performance. Manufacturers and service providers are right to cringe at waste. Without asset protection, an entire lot can spoil, or fall out of compliance. Refrigerated transport offers the boost to ROI companies are searching for. By protecting every asset, each component of manufacture or harvest is brought to full potential. Companies don’t get paid unless they deliver. Businesses that know the value of securing refrigerated services need to go one step further. It isn’t enough to understand the benefits and reasons. It’s just as important to select a service partner that can deliver the full benefits of these services. Without experience, expertise, and dependable quality, companies will find their services fall short of reaching their goals. 1-800 Courier is the provider of choice. We help companies boost sales, and provide dependable support and service. Companies can’t leave their refrigerated transport services to chance. There is too much at stake. Contact 1-800 Courier today and discover more about how we can help you achieve your refrigerated transport goals. This entry was posted in Courier Service, Nationwide Courier and tagged refrigerated services on November 29, 2017 by admin-lisa. We’ve seen Amazon pioneer successfully a wave of engagement into Same-Day Delivery of groceries with Amazon Fresh in the US. From Seattle to New York, the service is in a variety of markets in the US, in addition to launching it in London. Now same-day grocery is growing in London and BBC Radio talked with grocery chain leader Sainsbury about the service and where it’s headed. BBC Radio in London has discussed how same-day grocery service is becoming more and more attractive for supermarkets. 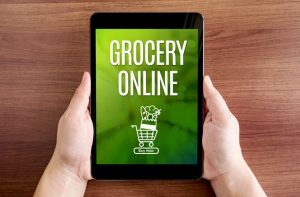 Three out of the big four have become involved with implementing and testing online grocery delivery. Tesco is testing the service in London and the South-East, Morrisons has partnered with Amazon Fresh and Sainsbury’s is piloting it in 30 stores. Grocery retailer Asda has not decided to jump into same-day groceries yet. Sainsbury is currently testing same-day grocery delivery in 30 stores, and has its’ sites on expansion. However, the grocery chain leader wants to work out all of the kinks before it does. Right now with the stores that are offering same-day grocery service, a customer can place their order online by midday and have it delivered that evening. The fee can be up to 9 pounds, which equates to a little over $11 US dollars. Orders made by subscribers, or over 100 pounds, would be be free. One of the primary hurdles for delivering groceries fast has always been costs. It could be a challenge to generate a profit. Same-day grocery delivery goes beyond the transportation element. It entails the pick and packing costs, storage, employee, and other operational expenses specific to the business that could be involved. Sainsbury mentioned that its’ focus was on giving its’ customers what they want, and relative to taking a loss to offer same-day grocery delivery, it would consider individual store costs on a whole scale. The radio did a spotlight of a grocery store worker picking and packing an online order. One part of the process discussed was the actual selecting of the fresh fruit and vegetable items that are ordered. Although time is critical, the employee stated they had to make sure that the foods selected were ripe and fresh, even something themselves would pick. With grocery delivery already with a small margin at start-up, choosing the wrong food items or selecting rotten fruit could result in re-delivery costs, as well as customer loss. An actual delivery by Sainsbury was made that afternoon and BBC went along with them. The Sainsbury store packed up 45 orders to deliver. One customer delivered to when asked about same-day grocery service, said that he used it before and it was good. Upon delivery, when asked about the cost of it, the customer stated they paid 5 pounds and that it was fine. Convenience is heavily trending right now and the retailer that can meet customer demand, will be the ones that thrive. A Same-Day Courier like 1-800 Courier can partner with grocery stores that are seeking to test and implement the service in the US. The Los Angeles Courier has a national footprint and the delivery expertise to develop an optimal same-day grocery service solution that works. This entry was posted in Courier Service, Nationwide Courier and tagged Courier Service, Los Angeles Courier, Same Day Courier, Same Day Delivery on February 7, 2017 by admin-lisa. Taking a look at their distribution system, Neiman Marcus observed areas of development that it could improve on. The retailer implemented a new cross-channel merchandising system, which costs Neiman Marcus up to $35 million during its fiscal first quarter. According to a new article, the investment resulted in overall losses due to inventory issues and order fulfillment. A year-over-year total comparable sales decline of 8.0%, compared to a 5.6% decline last year. Net revenue of $1.079 billion, down 7.4% from $1.165 billion. A net loss of $23.5 million, compared to a net loss of $10.5 million. Companies like Amazon not only have sophisticated distribution systems, but also have coupled it with Same-Day Delivery to literally meet online shoppers right where they are. Amazon has engaged same-day delivery into its’ supply chain, even offering it free in 27 major US markets. Amazon Prime is in San Francisco, Los Angeles, Dallas, Boston, Orlando, Chicago, Raleigh, New York, Atlanta, Tampa, and more. Optimal distribution system inefficiencies has been the key foundation for Amazon, yet the company is still only an e-retailer providing same-day delivery. Retailers like Neiman Marcus can partner with a Chicago Courier like 1-800 Courier and fulfill online orders directly from their stores. Same-day delivery is revolutionizing the way we ship to the end customer. Nordstrom’s,Best Buy, PetSmart, Toys-R-Us, and others have all implemented some level of same-day delivery, using their store locations as close proximity warehousing, using them to carry inventory. Macy’s is fulfilling online orders with same-day delivery in cities like San Francisco, Los Angeles, Seattle, Houston, Chicago, New Jersey, Washington DC, and more. With over 880 store locations, the department store leader has shifted with e-commerce trends and distribution centers have the added supply chain to deliver items to customer’s front door. 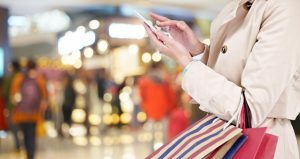 Neiman Marcus can use Nationwide Courier to develop a same-day logistics solution to create the omnichannels to help strengthen its’ distribution system. This entry was posted in Courier Service and tagged Chicago Courier, Courier Service, Same Day Courier, Same Day Delivery on January 10, 2017 by admin-lisa. 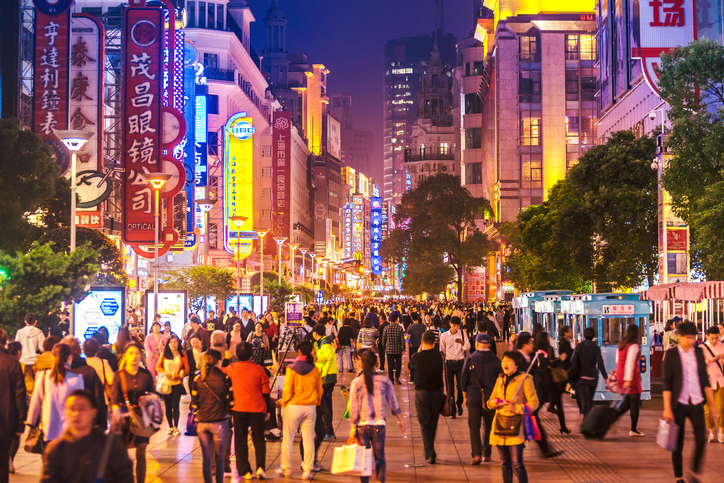 China is on pace to grow its’ e-commerce at a more faster rate than ever before. Alibaba, China’s largest e-retailer, is driving a lot more traffic via its’ online store versus shoppers physically going out to make their purchases. 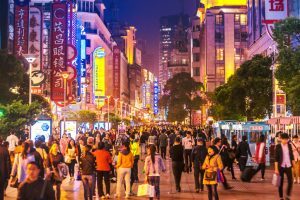 A recent article shows how indeed the malls in China are experiencing less traffic and it hurting sales. With the expectations of the retail industry to generally make up for any quarter losses and boost sales, these November results are not what mall owners and retailers want to hear during the holiday season. Internet Retailer via Bloomberg News discussed in an article about how China mall traffic id decreasing and is directly affected by e-commerce. This was due to a surge of online shopping activity for the holiday season, according to Baidu, operator of China’s dominant search engine, and JD.com. It stated that China’s wealthy consumers are shopping online for more pricier items from e-retailers like Alibaba, which made $18 billion in one day during the month of November and Same-Day Delivery attracts customers as well. This attests to how online shopping is moving beyond just being a trend globally. Although malls are being affected by online retail, these same stores can implement same-day delivery to move product and deliver them to customers. Macy’s partnered with Deliv and launched same-day delivery in multiple major US cities last year in San Francisco, Los Angeles, San Jose, Seattle, Houston, Chicago, New Jersey, and Washington DC, in addition to adding more. Its’ sister company Bloomingdale’s also launched the service in San Francisco, Los Angeles, San Jose, and Chicago. Mall retailers experiencing the same downturns in the US, can have a Nationwide Courier like 1-800 Courier to develop a same-day solution also. The Houston Courier has a national footprint, able to pick up and deliver from malls. 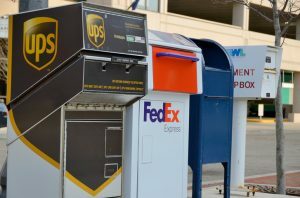 Online retail is expected to reach $500 billion by 2018, and malls can partner with 1-800 Courier to get their store product sold via omnichannels that connect physical store to online sales growth. This entry was posted in Courier Service and tagged Courier Service, Houston Courier, Same Day Courier, Same Day Delivery on January 5, 2017 by admin-lisa. Amazon has reached an unmatched pinnacle for Same-Day Delivery, as now the e-retail leader has officially completed its’ first drone delivery. Fox News released an article discussing the first delivery for Amazon Prime Air via drone in Cambridge, England. It appears that drones won’t be used to shipping any heavy items. The delivery comprised of an Amazon Fire TV and some popcorn, which weighed less than 5 pounds. The total time of delivery was only 13 minutes, which is beyond impressive, but revolutionary. Amazon says that drones will only take 30 minutes to deliver its’ packages. In light of what most retailers do in their shipping time frames, 30 minutes will shift many shoppers to getting their items online, instead of stores. Globally, we are already seeing glimpses of how attractive online retail is becoming. For example, China’s mall traffic decreased in as more November, being that wealthier shoppers are saving their time and enjoy the level of convenience it brings. This is during the busiest shopping season of the year, which is consistently the most profitable season for malls. In contrast, China’s largest e-retailer Alibaba, made $18 billion in one day. Alibaba doesn’t use drones, but does have a robust online retail operation, even offering a same-day delivery option. Amazon is the largest e-retailer in the US and is expanding at a high rate, utilizing fast delivery options to attract customers as well. Amazon Prime is a free service in a total of 27 major US cities, which include cities like San Francisco Bay Area, San Diego, Seattle-Tacoma, Dallas-Fort Worth, Boston, New York, Chicago, Indianapolis, Baltimore, Washington DC, Nashville, Raleigh, Tucson, Atlanta, Orlando, and Tampa. Amazon has even crossed borders, venturing into Canada and has launched free same-day delivery in Toronto and Vancouver as well. “One day, seeing Prime Air vehicles will be as normal as seeing mail trucks on the road,” Amazon says. It appears inevitable that Amazon will be using drones in every major city in the US, eventually worldwide. 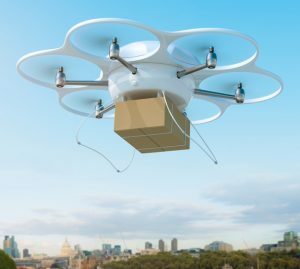 This means drone delivery will cross over into other industries and more business will be found following the pattern of success by Amazon. The question is how will it affect physical stores and will they make the adjust into moving product via e-commerce. It’s clear that every business will have to begin putting a heavier focus on convenience shopping and meeting the demand of it. Amazon CEO Jeff Bezos tweeted the success of the retailer’s first drone flight, which actually took place on December 7th. It was guided by GPS and flies no higher than 400 feet. It was noted that Amazon is very careful with its’ drones use in inclement weather, such as no flying them in rain, snow, or ice, as well as flying in separate air spaces to avoid planes. The article also mentioned that Amazon only has a few customers in the UK that is privy to using them, yet, the e-retail giant hopes to expand to a larger demographic there. To keep pace with fast delivery, companies can partner with a Same-Day Courier like 1-800 Courier to implement a same-day logistics solutions quickly. The San Diego Courier has a national footprint and able to deliver in major US cities for retailers, as they compete with Amazon. This entry was posted in Courier Service and tagged Courier Service, Same Day Courier, Same Day Delivery, San Diego Courier on December 27, 2016 by admin-lisa. When the time comes for Same-Day Delivery to impact the carrier industry, it will. Yet for now, it is only fully moving and expanding within the retail industry. It is what companies like Amazon, Google, BestBuy, and more have all embraced, making it a viable shipping option during this holiday shopping season. Either way, carriers are not getting their shipping time frames to be performed as fast as same-day delivery primarily. Their focus for the holiday season is to ensure that they are accurate on and before Christmas. The USPS, FedEx and UPS have all announced their respective shipping deadlines for retailers and shoppers to get their packages delivered by the biggest holiday of the year. 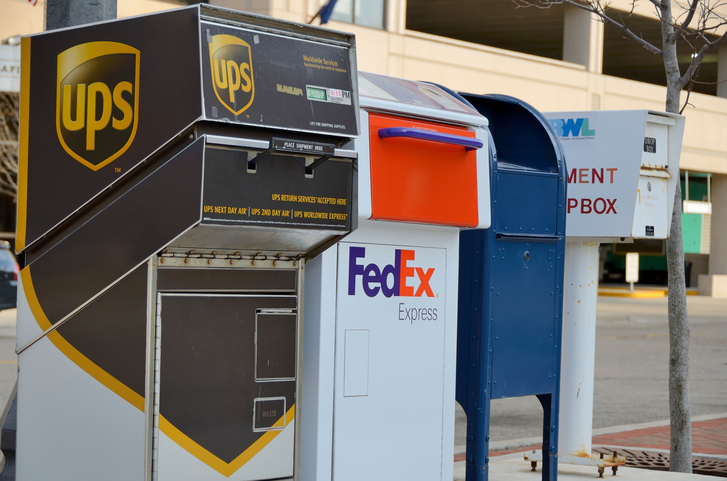 Yahoo recently talked about how FedEx, UPS and others have all made public their shipping deadlines in order for shoppers to know the shipping options that are at their disposal. With only two weeks before Christmas, consumers are likely to prepare now and place their orders so their holiday gifts can arrive on time. For Christmas, Hanukkah and Kwanzaa, shoppers are going to be buying and shipping more than in 2015. The article mentioned how the carrier package forecasts confirms the growth in retail will result in an increase in packages shipped this year. FedEx expects to ship 25 million packages on peak days during the holiday season. UPS predicts it will deliver over 700 million packages between Black Friday and New Year’s Eve, which is 14% growth from 2015. Also, the US Postal Service expects to deliver 750 million packages this holiday season, resulting in a 12% spike up from 2015 and the carrier has guaranteed domestic deliveries by Christmas. Dec. 22 — Last day to ship FedEx Standard Overnight, FedEx Priority Overnight, and FedEx First Overnight. Also, FedEx First Overnight, FedEx Priority Overnight, and FedEx 2Day will make deliveries on December 24th. A $16 Saturday delivery fee will apply per package. Dec. 19 — Last day to ship via UPS 3 Day Select to be delivered before Christmas Day (delivery on Friday, Dec. 23). Dec. 21 — This is the last day to ship all UPS 2nd Day Air packages to be delivered before Christmas Day (delivery on Friday, Dec. 23). Dec. 15 – Last day for USPS Retail Ground. Ground service for less-than-urgent deliveries and oversized packages. Dec. 20 – First-Class Mail. Service for standard-sized, single-piece envelopes and small packages weighing up to 13 ounces with delivery in 3 business days or less. Dec. 21 – Priority Mail. Domestic service in 1, 2 or 3 business days based on where the package is mailed and where it’s being sent, variety of flat-rate options. Dec. 23 – Priority Mail Express. Fastest domestic service, guaranteed overnight scheduled delivery to most locations. Some restrictions and exceptions apply. FedEx does have it’s Same-Day and Fed-Ex Same-Day City according to their deadline dates will be operating. It shows that carriers are slowly creating a competency for same-day delivery. However, if retailers and shoppers are looking for a delivery source where fast delivery is their expertise, a viable option is a Same-Day Courier like 1-800 Courier to get their holiday packages delivered fast. The Chicago Courier has just the right solutions for the holidays to get in-store and online orders delivered by Christmas. This entry was posted in Courier Service and tagged Chicago Courier, Courier Service, Same Day Courier, Same Day Delivery on December 23, 2016 by admin-lisa. Automakers have not just sat back and watched Amazon utilize Same-Day Delivery for growth. Toyota, BMW and Fiat Chrysler have all jumped into same-day delivery and seeing all of the benefits operationally the higher level of service it brings with it. 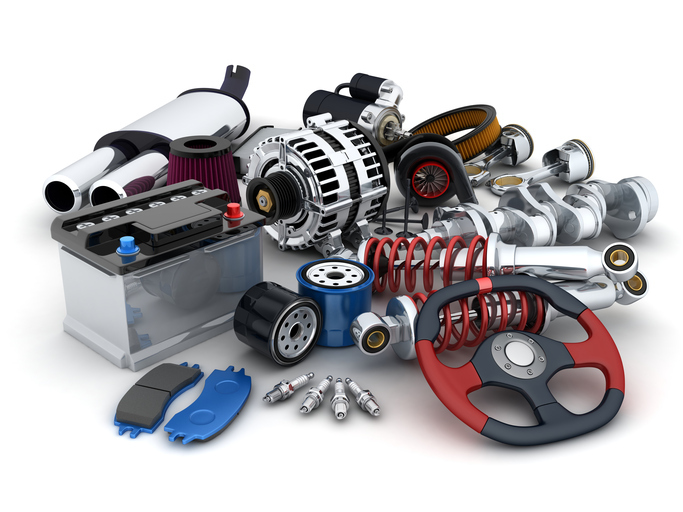 Customers know when they are getting the best from dealerships and same-day part deliveries is proving to be the revolutionary component that will optimize service repairs for car manufacturers in the years to come. This past August, Toyota rolled out same-day parts availability to its’ dealerships to meet real time demand for repairs. Faster part deliveries equated to quicker turnaround times from mechanics and better efficiency. Repair times is the dealership service area with the largest number of customer complaints. The better the service times a dealership provides, the better overall customer service reviews. Toyota has been involved in part same-day delivery longer than BMW and Fiat-Chrysler have. However, they both appear to be making headway with their respective implementations. A Same-Day Courier like 1-800 Courier can partner with an auto manufacturer and pick up parts from distribution centers and local dealerships. 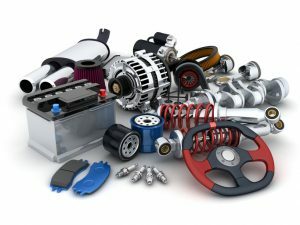 The Seattle Courier can perform part exchanges between dealerships, which is another same-day solution that it has developed. Part distribution services is another same-day solution having the courier pick up all parts from a single location and distribute them to multiple dealerships in a given radius. Car manufacturers like BMW and Fait Chrysler US being on board with same-day part deliveries, shows that it indeed is workable and at least worth testing. Either way, same-day delivery is shifting how we do business, establishing a level of speed and convenience that shows no signs of turning back. More and more businesses, retailers, shoppers, and automakers will all continue to make strides toward seeing how they can generate sales and improve processes with the innovation of same-day services. This entry was posted in Courier Service and tagged Courier Service, Same Day Courier, Same Day Delivery, Seattle Courier on December 13, 2016 by admin-lisa.